So when this piece was listed, I ran to check it out. and it appears to have been in the vicinity when there was a food fight involving bbq sauce (at least I'm pretending that's what that gunk is). A knob or two are missing, the wire grates will go and be replaced with glass, and I think it sat in water for a time. But isn't that moulding pretty? 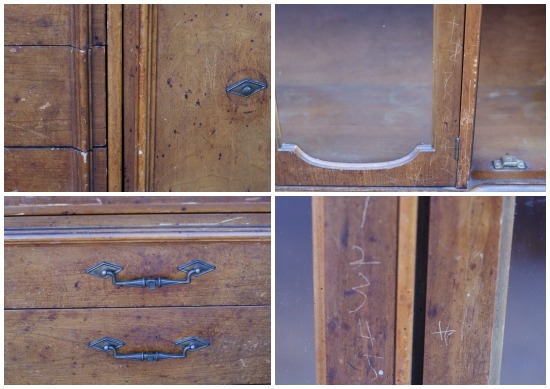 And I really like the drawer pulls and brass plates on the doors. I almost walked away, but my husband encouraged me that it would look fantastic when we got finished with it. I paid the lady more than I should have for the condition it was in, but I felt a little better about it because it seemed like this family really needed the money. Perfect! The idea that was in my head in a picture, confirming we were on the right track to add some height, and even more storage. Last Saturday was warm enough to drag it out of the garage and sand the dickens out of it-seriously, carved with a knife everywhere! So, in the next few days I'm shopping for baskets or boxes, making an extending shelf, and trying to decide for sure on a paint color. PS, I noticed last night that the rug sale I posted about yesterday has been extended through the 10th...more time to shop! You crack me up! Love your positive attitude and there's no doubt you'll make it beautiful. I would not have passed that hutch up either and would have convinced myself it was bbq sauce too :). 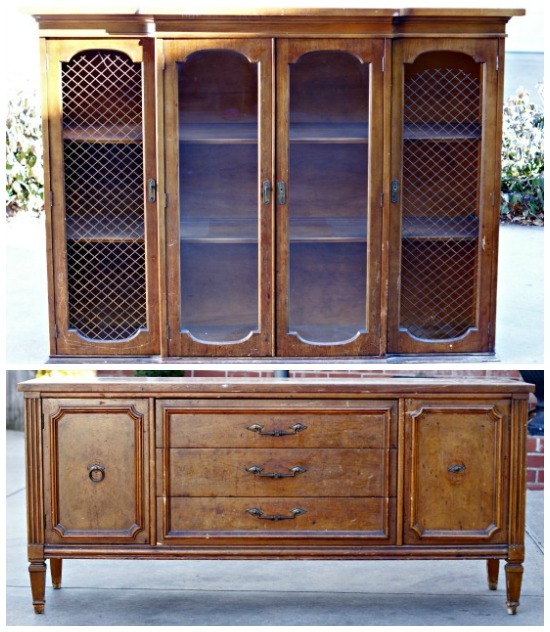 The hutch has beautiful lines and great legs!! Cant wait to see what you do with it! 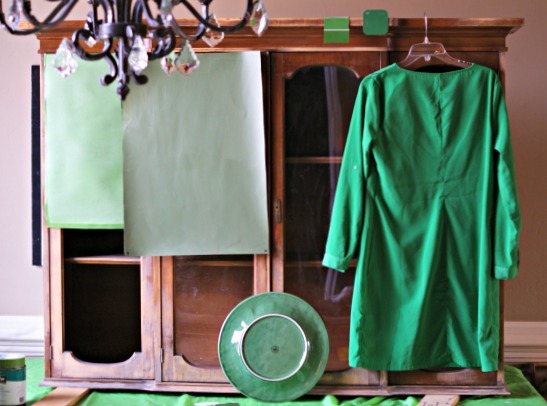 Emerald Green is predicted to be one of the top colors of the year for 2013, so you are right on-trend! You are amazing--I would like to import you to my house for a few weeks:) (Sorry for posting as "anonymous" but it's the only way I can get it to "take"). 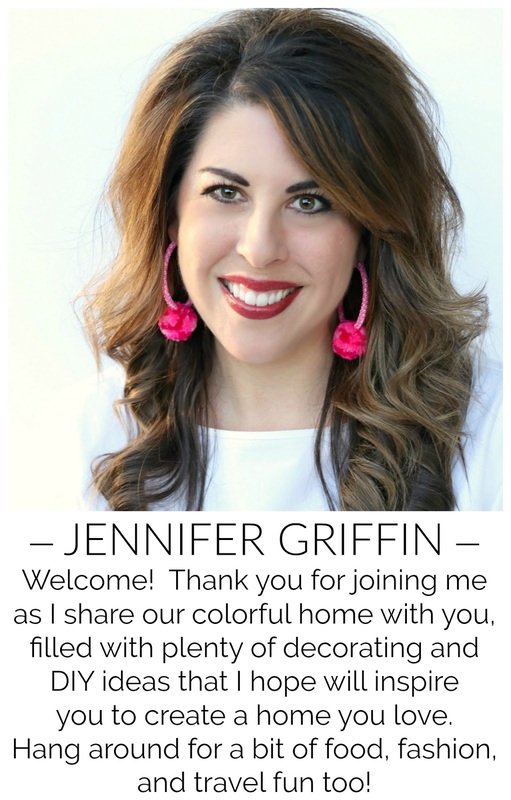 Hey Jennifer, I don't know you but I have emailed you with questions about some of your beautiful projects and you were gracious to reply with very helpful info. Sorry if this is a duplicate reply--I tried to send one a few minutes ago and I can't see it so am not sure if it went thru. I know it's going to be beautiful!! Can't wait for the reveal!! Can't wait to see what you do with it! 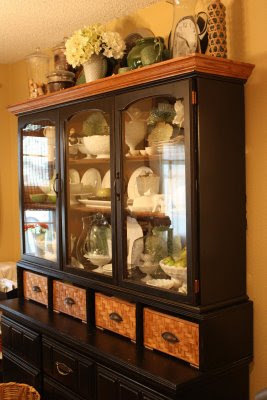 I am a big CraigsList lurker :) Usually the prices are ridiculously high, but I just patiently look several times a week, waiting for bargains...have found some good ones. What a happy color the green will be. It looks like we check out some of the same blogs. Happy re-doing! One certainly has to look often to catch the great deals! 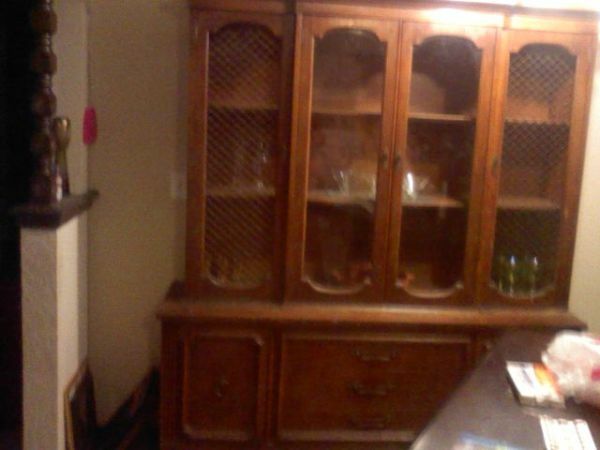 The price wasn't too bad on this one, $175 (she started out asking $250), which I would have happily paid if the condition was better. I justttt inherited one of these babies! Can't wait to see what you do with it!! My parents in law have a very similar piece. They are moving into a new house in a few weeks and we have been mulling over how to mix up their existing furniture…I'm so excited that you're bringing this piece into your stylish and fabulous home! I can't wait to show them! And the color - you and Pam must be on the same wavelength these days! SO exciting!!!! Yes, I think we're always on the same wave-length. Great minds think alike! Her piece is going to have such a modern glam feel though, I can't wait to see it! oooh. this is gonna be good. Oh my, what a great find, true, it has been carved to no limits, but the wood overall is just really nice, and you probably won't even notice it's current art. Cannot wait for the reveal, I'm sure you will do an absolute awesome job! I would have scooped it up in a heartbeat! It has so much potential, I know it will be fabulous!! To funny you're getting rid of the wire on the doors! :) I had to laugh at your coat/dress hanging there! Definitely a diamond in the rough! :) But what beautiful lines. Can't wait to see the finished piece. I got tickled at your color inspiration pic with the sample boards, clothes and dishes. I've done the same thing before! 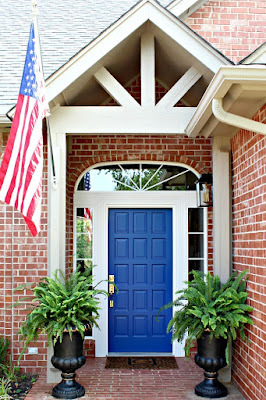 I'm with Sonya re: the samples of paint colors...great idea! :) It's going to be gorgeous when you finish it. I need some of your creativity ~ I wouldn't think of adding the piece in the middle. Super! LOVE the inspiration piece and what you found has just the right bones! So excited to see what you do with it! I think it looks great! I can't wait to see how it turns out!